Happy Friday to you all! It’s a little rainy and overcast here, the weather isn’t quite sure what it wants to do today! It’s quiet at our house, and I’m using the “me time” to type a quick blog post for you! I know it’s been a long time since I did a post, but summer is like that, lots of mom-and-kid-time, not as much mom-at-work-time, thankfully! Today’s post is one that started out as something we were using for our cross country trip, but we’ve used since returning home also, and I plan to continue to use it at home, especially during the crazy school year weeks. 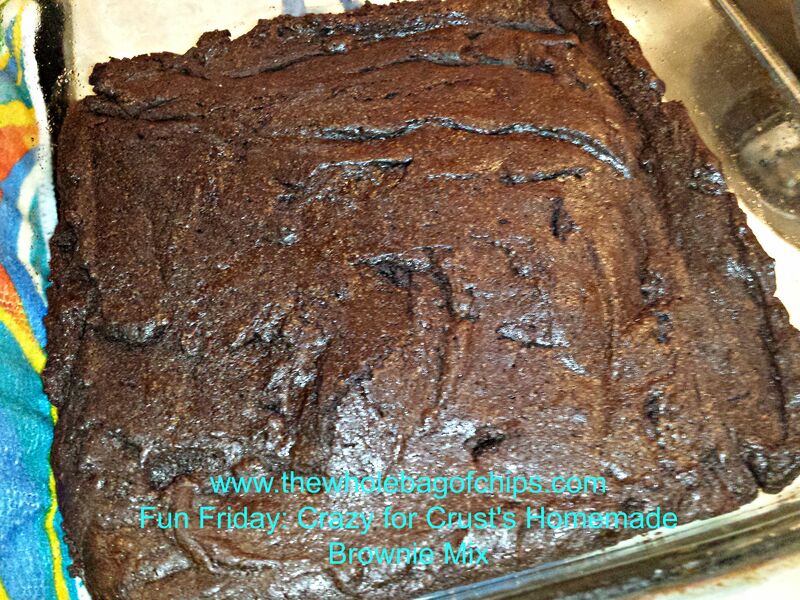 I had been looking for a pre-made brownie mix that I could duplicate to take along with us on our trip so that I would have an easy to make dessert on hand all the time. We were bringing five mugs with us so that we could make Nutella mug cakes, and I had the ingredients for that, but I didn’t want to have to have a lot of other ingredients on hand because our pantry was small. As I searched, I came across a homemade brownie mix that could be made up ahead of time, stored in an airtight (mouse tight and ant tight) container and only the wet ingredients would need to be added. I decided to make a double batch of the mix. I wasn’t sure we’d even use it, but I thought it would be good to have on hand. Our oven in the RV was tiny, so I brought a 9×9 square baking dish, as it was an option for the recipe as were 9×13 and loaf pan sizes. The recipe I chose was from the Crazy for Crust website, and you can visit it here to take a look around. We made up our double batch of the mix before we left and put it in an easy to store container that would fit into our pantry. I made sure to print out the recipe which contained the details for adding in the wet ingredients as well as the dish size options and the bake times. I put the directions into an envelope with the flap cut off and taped it to the top of the container for future reference. 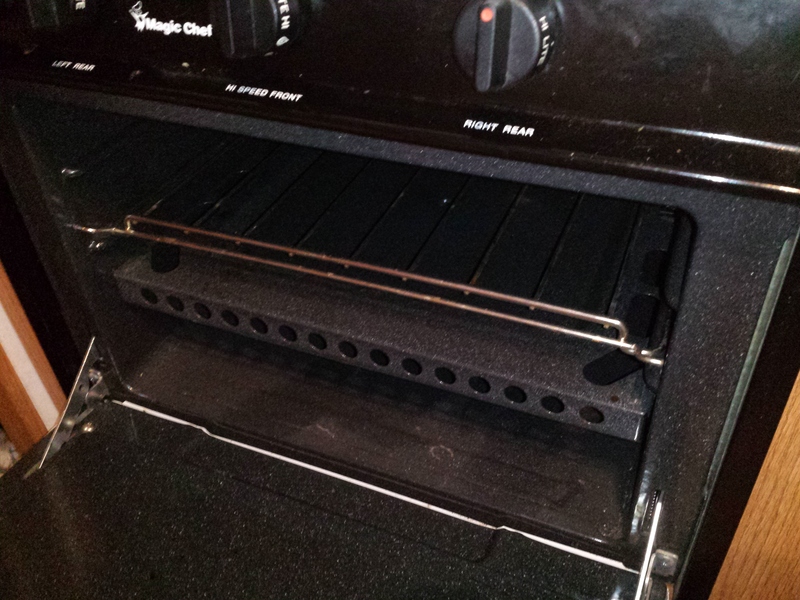 While we were on the trip, we decided to try out our oven. We’d gone many nights without dessert, and on other nights we’d had mug cakes, we’d had ice cream, but now I wanted to give baking a try, and we were really craving something good. I found the recipe very easy to use, very quick to prep because we’d done the dry mix ahead of time, and as I mixed it all together, it looked thick and fudgy, just as a brownie mix should. We put everything in the pan, put it in the oven and I crossed my fingers. A little over 20 minutes later, our brownies were done! They looked and smelled delicious, and we were thrilled that they tasted delicious also! Our first-ever baking experiment in our camper’s oven was a success, but more than that, I’d found a perfect brownie mix to keep on hand at home for future use. So often we need a last minute dessert and don’t have a mix on hand to throw together. 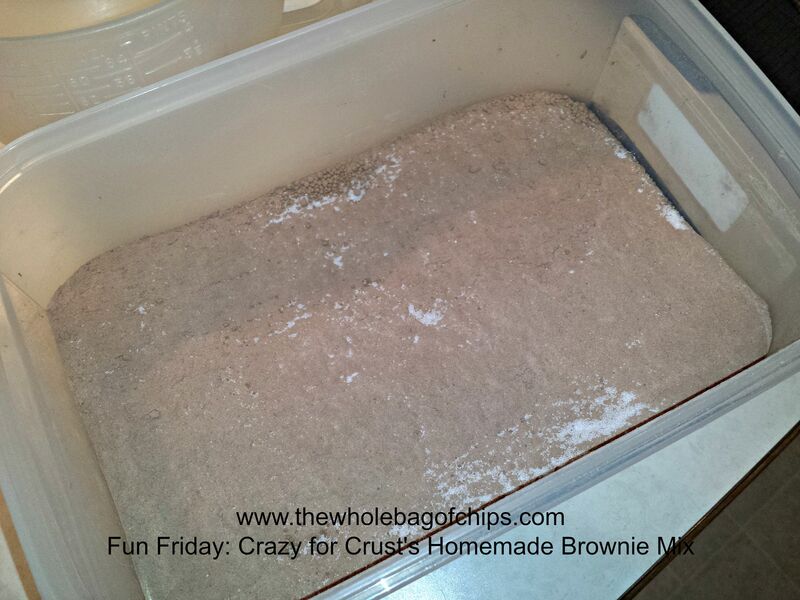 I recently used this mix to make another couple of batches of brownies at home: a 9×13 and 9×9 batch at the same time, and there is still a little bit of dry mix left over! 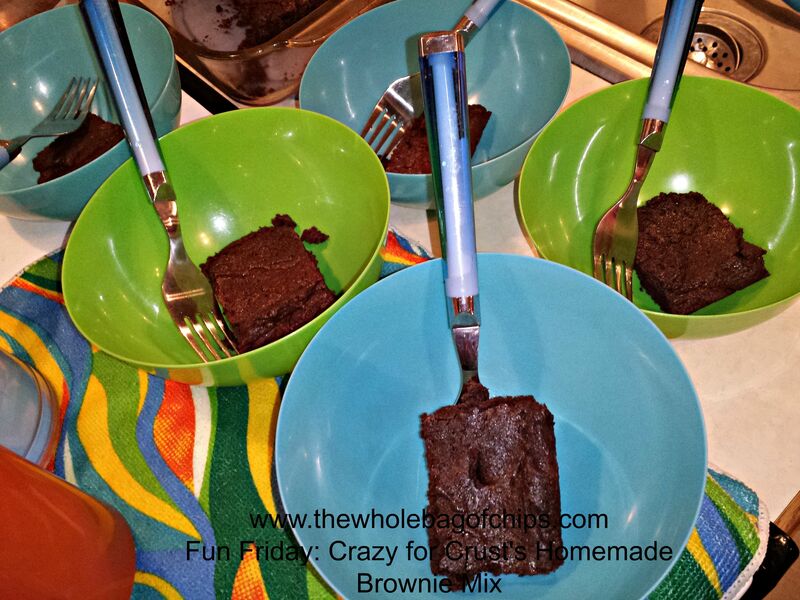 I can’t wait to make another batch of this homemade brownie mix, and I can’t thank Crazy for Crust enough for sharing their recipe with us! 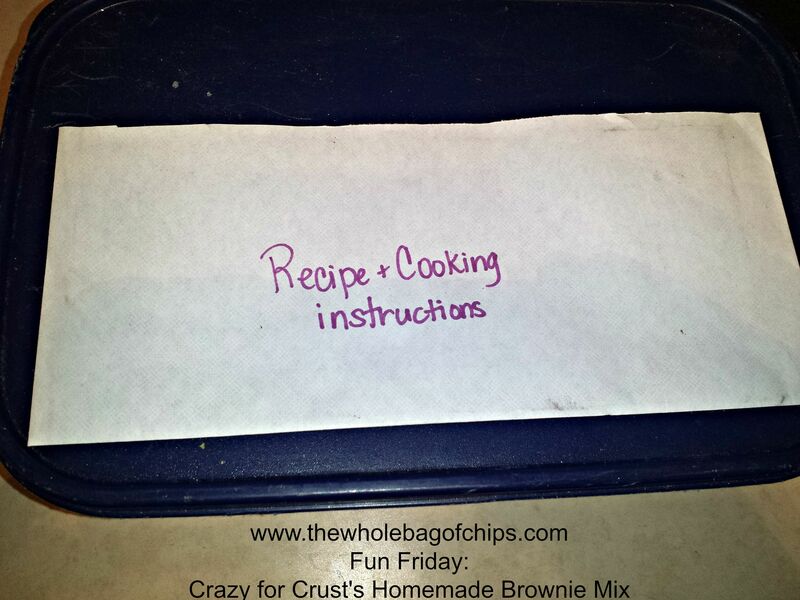 I hope you’ll pay their site a visit so that you too can have the best homemade brownie mix ever. It’s a great, user-friendly recipe for kids and adults alike. You can see some amazing photos of their own freshly baked brownies while you’re there checking out the recipe!